Scenario/Problem: You want to manage the security in a site. Solution: To get to a site’s security settings page, open the site’s Site Actions menu and click the Site Settings option to open the site’s settings page, then click the Site Permissions link under the Users and Permissions heading (see Figure 1). 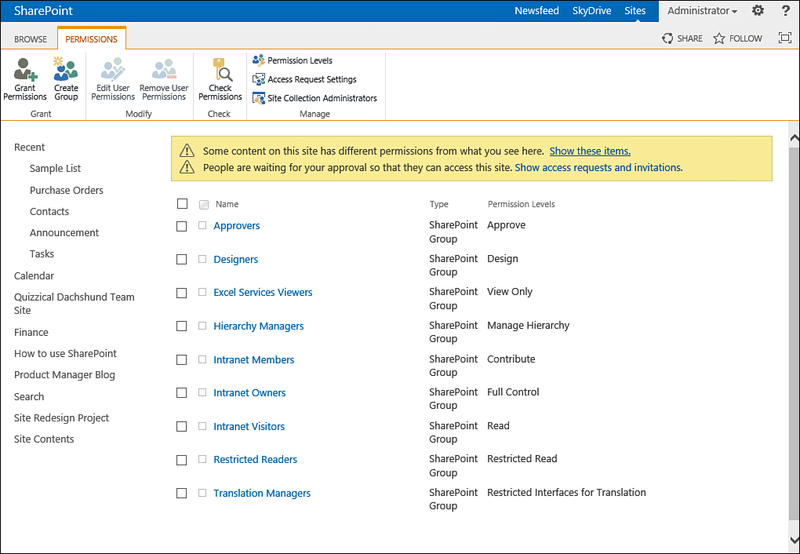 FIGURE 1 Opening a site’s permission management page from the Site Settings page. 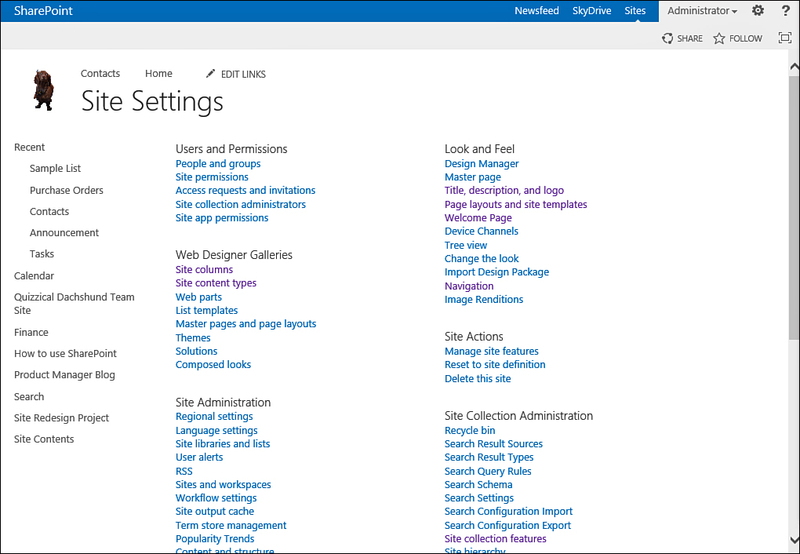 Either method opens the site permission management page, where you can manage the permissions for the site (see Figure 2). FIGURE 2 A site’s security management page with a yellow bar alerting you that some content in the site isn’t using the permissions on the page. A list, library, or list item in a site might have unique permissions—that is, someone might have changed the permissions on it and broken its inheritance from the site. In this case, a yellow bar warns you that changes made in the site level will not impact those items, as shown in Figure 2.